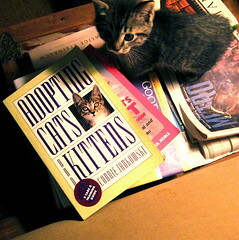 Fidgert was helping me read how to train him. Actually, he wasn’t much help. He mostly wanted to shred (er, turn) the pages. I hope that isn’t a library book!